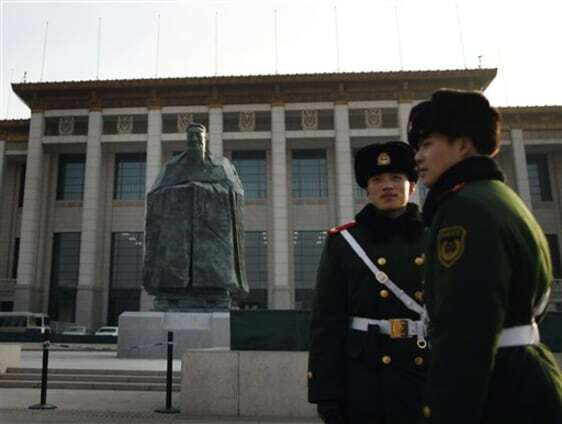 Chinese paramilitary policemen stands guard in front of a sculpture of the ancient philosopher Confucius on display near the Tiananmen Square in Beijing, China's capital. The mammoth sculpture of Confucius was unveiled this week on one side of the giant plaza, the political heart of China. It's a curious juxtaposition for a site that's heavy with Communist history — Mao's body is interred in the middle of it and his giant portrait hangs at one end.